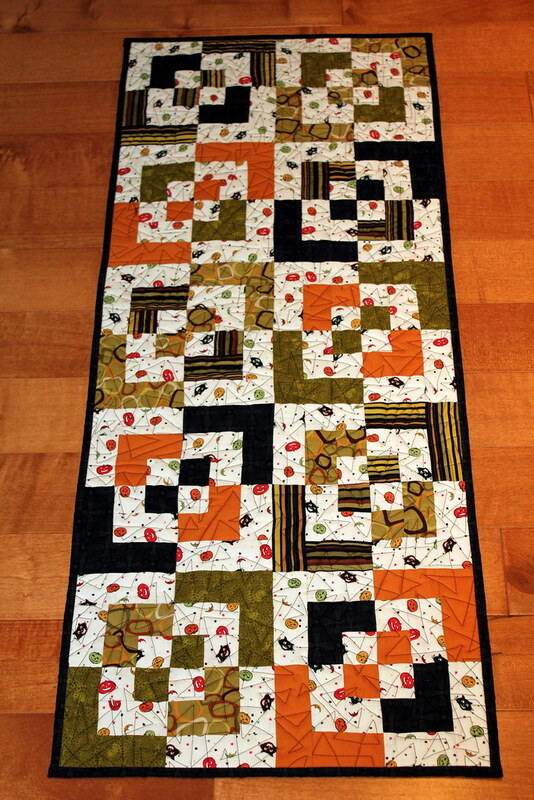 I am so pleased that Amy's Creative Side has been kind enough to support the 2011 Fall Bloggers' Quilt Festival!!! This is a great opportunity for us to get together (virtually) and share our fine work. Being Halloween week, I thought it fitting to share my spooky bento box table runner. I made this quilt last year while on vacation. I love to sew while we're at the beach, much to the disappointment of my family members who feel that I should be spending more time out of doors. Little do they know how much pleasure I get from days of uninterrupted sewing time. The bento box quilt block is quite easy to make. I learned the technique using an on-line tutorial. 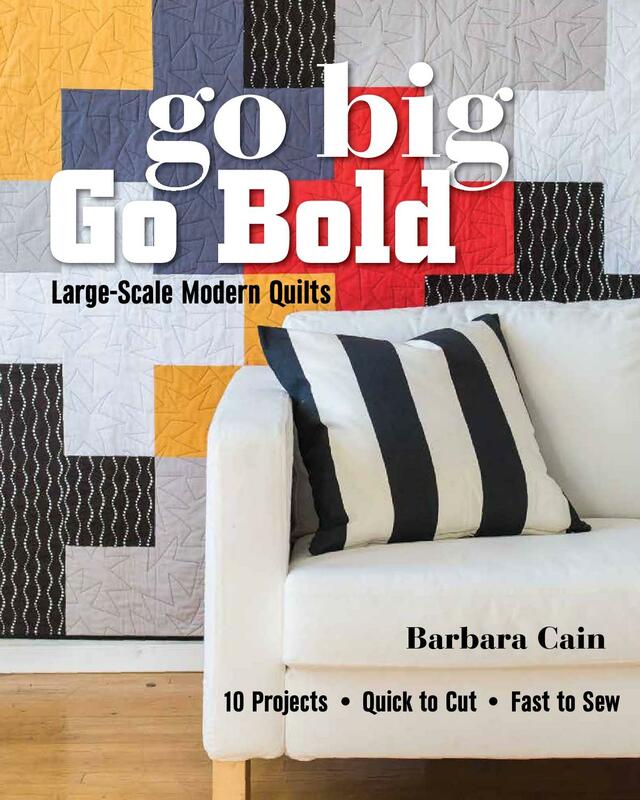 I wish that I had book marked the page so that I could credit the quilter who generously instructed me on how to make this. I like using Insul-Bright batting for table runners as it provides added heat protection for my dining table. For this runner, I also added a layer of cotton batting, resulting in a puffier profile that unfortunately, gave me some unwanted resistance while quilting. I think that I'll skip the extra layer in the future. What a wonderful resource on line tutorials are. The table runner looks great. I always love a bento box, and yours is no exception! Just a nice clean look. Greetings from Hungary! I really like your Quilted. I love the color. The stapling is very nice. A very interesting pattern. 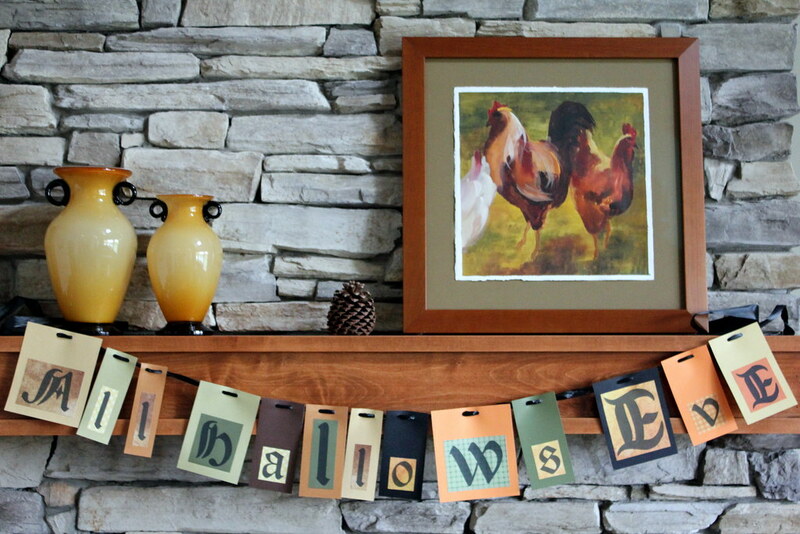 i never though to make a table runner with that pattern -- what a great idea. love the halloween feel of it without it being too in your face halloween (i'm not such a fan of halloween) Thanks for sharing! That batting may have added some resistance but the result is great. Love this! Hi! Your table runner is beautiful! I like very much also your other works and style! Those quilts with flannel backing will be so wonderful! What a lovely fabric that with all those houses! Un camino de mesa muy bonito. always envious of anyone who can do a great bento box. Good job! Great blog too!! 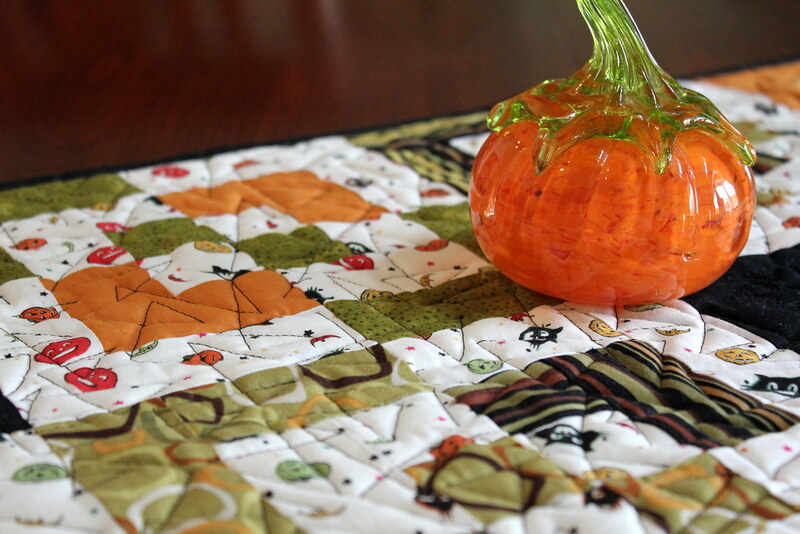 Fun little runner and the quilting is perfectly halloweenie! !